Hier noch wie versprochen unser Feedback von der Reise ins Mustang mit Chrishna, CP, Santa, und Bim: Erstmal vorweg: Die Reise hat uns sehr gefallen. Das Mustangtal hat sehr eindrückliche Landschaften. Die verschiedenen Aussichten auf Berg und Tal haben uns fasziniert. Uns scheint auch, dass die Wahl der Wanderroute gelungen war. 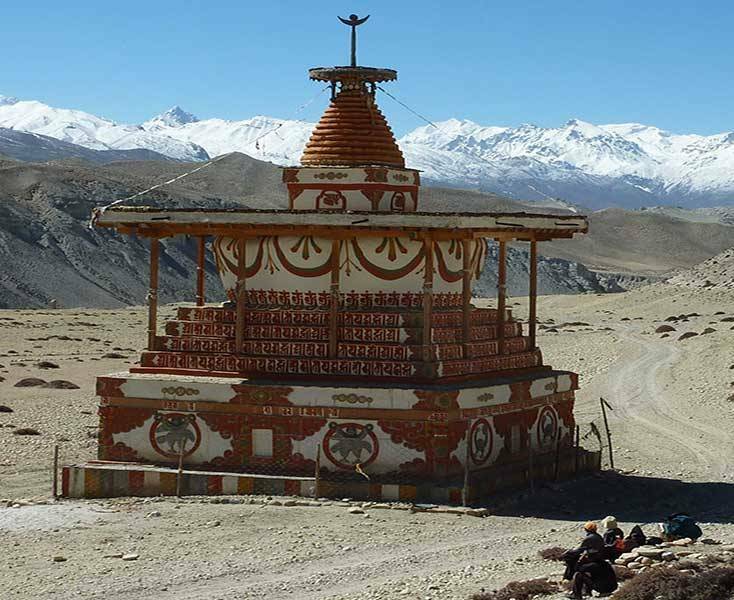 Es sah immer ein bisschen anders aus (abwechslungsreich), und das landschaftliche Highlight bis zum Schluss aufgespart: Die Etappe von Ghhusang nach Muktinath! Das war quasi die Sahnehaube oben drauf für uns. Massgebend für unser positives Erlebnis waren aber auch die Sherpas: Extrem freundlich, zuvorkommend, hilfsbereit, alle Wünsche quasi von den Augen abgelesen. Ausserdem hat immer alles geklappt: Unterkunft vorhanden, Zimmer zugeteilt, Gepäck bei der Ankunft schon im Zimmer, Essen tip top…..etc. etc. Drei von uns waren mal erkältet, und da hat uns Chrishna gleich behandelt mit dem abendlichen Vix-Dampfbad, was uns sehr geholfen hat. Für mich persönlich noch ein weiterer, wichtiger Punkt: Ich war froh, dass unser Gepäck von Pferden getragen wurde. Bei anderen Companies trugen teilweise Menschen (Nepali) das Gepäck, welches wahrscheinlich 50kg oder mehr wog. Für uns ist das ungewohnt, und ich würde mich nicht wohl fühlen, wenn sich jemand wegen mir so abmühen muss (auch wenn das anscheinend ein guter Verdienst ist). Die Pferde machten keinen überanstrengten Eindruck, und da war ich froh darüber. Des Weiteren: Das Rahmenprogramm in Kathmandu war interessant, und die Tour Guides waren kompetent, und sprachen allesamt ein sehr gutes Deutsch. Wenn wir wieder einmal kommen (und das ist sehr wohl möglich), werden wir Dich kontaktieren. We passed a fantastic and extraordinary time having the Mustang trekking this October 2015 with Claudia Sauter, Pemba, Padam, Thule, Singee, Pasang, Karma, Bogi, Jvan and Rangit (I hope, I haven’t forgotten anybody). You all are in best memory and I still am very pleased to have met you good friends. Wir sind nun zurück aus unserer Trekkingtour Kanchenjunga /Nepal und möchten uns für die phantastische Trekkingorganisation bedanken. Die lokale Agentur Matterhorntrekks, geleitet von Herrn Ang Kami Sherpa, war kompetent und seriös und hat alles optimal vor Ort zu unserer besten Zufriedenheit organisiert. Herr Ang Kami Sherpa hat mit uns persönlich vor wie auch nach dem Trekking Kontakt aufgenommen und unseren Aufenthalt in Nepal als Erlebnis werden lassen. Daran beteiligt sind ebenfalls unser Führer während dem Trekking, der Chef-Guide Hr. Pasang Nuru Sherpa sowie sämtliche Begleitmannschaft welche grossartig waren. Wir sind während unserem Aufenthalt in Katmandu wie während des Trekkings von all der Mannschaft regelrecht verwöhnt worden. Es war mehr als Ferien, es war ein wunderbares Erlebnis mit vielen bleibenden Erinnerungen. I have just returned from a month trekking with Matterhorn Treks & Expedition (P)Ltd around Manaslu and Annapurna circuits. I thoroughly recommend Kami and his staff for their professionalism, enthusiasm and wonderful spirit. It has been the most rewarding time. We were a group of six Aussies in their 50s and 60s, all fairly fit and well prepared. Not much prepares you for altitude though! The guides were brilliant, and especially attentive as we tackled the flu and colds at altitude. As each of us focused individually on getting ourselves over the passes, the presence of the Sherpas provided a strength for all. I cannot say enough of their giving, so very natural. Apart from leading us on the trek, they shared much of their knowledge of local customs and beliefs, with many memorable visits along the way. 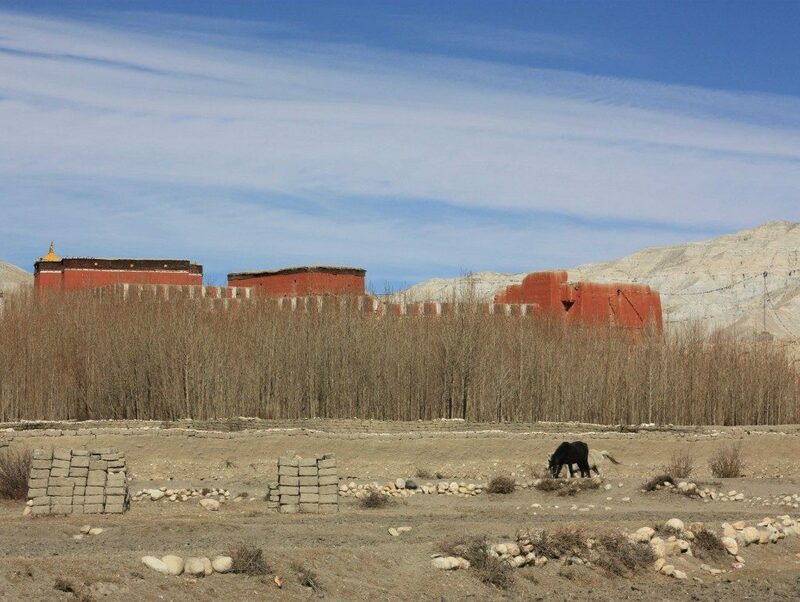 A lot of special memories – tenting in the snow at Bimtang, a Lakpa laugh as Garra chases the mule man, Kami’s dedication as he runs ahead again to book the next teahouse. What a wonderful trip, so many smiles to greet you, all made special by Nepali spirit – Namaste! What a wonderful trip, so many smiles to greet you, all made special by Nepali spirit – Namaste! 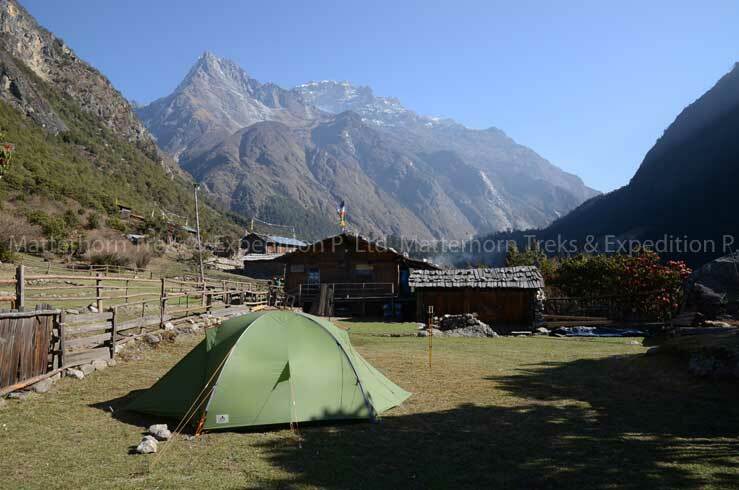 We have recently returned from a trek on the Manaslu Circuit and then a further 8 days on the Annapurna Circuit. There were 6 in our group. We camped for the first 14 nights and then had 8 nights in teahouses. The trip was fantastic. It was scenically beautiful and culturally fascinating. I cannot speak highly enough of the guides, cook, kitchen staff and porters who supported our expedition The service was of the highest quality. The staff were all, without exception, enthusiastic and a joy to be with. This was a trip, which will always hold very fond memories for us both. We cannot recommend Matterhorn Treks and Expeditions more highly.